Water damage restoration provided by 911 Restoration Los Angeles is the only way to return your home to normal after floods or severe storms take over. Our water damage restoration Playa del Rey crew is licensed, insured, and bonded to provide the most professional property treatment available. We have over 35 years of experience helping homeowner’s just like you with insurance issues, rain leaks, and plumbing failures. When disaster strikes, call 911 Restoration for same day service from our water damage restoration Playa del Rey team. Our water damage Restoration Playa del Rey operatives love providing a fresh start and can help you in the same way, so call today. One customer learned the importance of bringing a professional on scene as soon as possible. The ice machine line behind his fridge ruptured. He was able to turn the main water line off to stop the flow of water and repair the line. Thinking his DIY job complete, he removed the refrigerator and oven from the wall to dry the cabinets and drywall. Unfortunately, a few days passed and moisture remained. At this point, he was in danger of growing mold. He called 911 Restoration Los Angles for help and help we did. We explained how water can permeate the floors, walls, and woods in the area to a point that you do not recognize it. We showed up within 45 minutes to start the water removal process. Soon enough we had the drywall and cabinets stripped as we found mold in our free visual inspection. 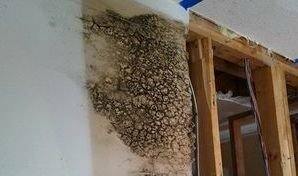 As soon as mold remediation was complete and the fans were set, we started the insurance paperwork, now that the area was stable. In order to get him the most possible coverage, we proved that the mold was not preexisting, but in fact a direct result from the faulty ice water line. When all was said and done, the customer came home to a better kitchen than he had before the incident. When your home suffers from flooding, there are a number of extra damages that can occur, so our water damage restoration Playa del Rey professionals recommend you do not attempt to take it on alone. With 911 Restoration at your service, you will know that your property is healthy once again. We have seen all types of disasters, from split foundations to drowning rooms. You want a company with positive reviews, and one that takes care of the negative ones professionally. Look on Angie’s List, Yelp, Yahoo, and Google for reviews. A track record of quality service is what you want to find. In addition, look at their longevity. 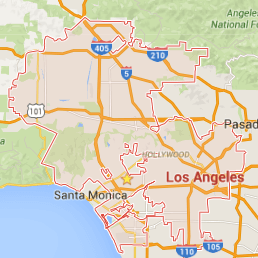 911 Restoration is a nationwide company that started in 1978 servicing Los Angeles. Our water damage restoration Playa del Rey company has a long standing history. Finally, you want to know about their personal touch. Each of our branches are locally owned and operated to bring an expert, family oriented feel to the restoration service. Our fresh start attitude guides our water damage restoration Playa del Rey services so that we always put the customer first with respect and a humble outlook. We understand the trials of floods, both physically and emotionally, so we know how to repair everything in such a situation. Call 911 Restoration and our water damage restoration Playa del Rey staff for the best water extractions in Los Angeles.